Hello fellow Funky PolkaDot Giraffe lovers! My name is Michelle and I'm stopping by today from The Real Life Mom. Just a little about me...I'm a mom to one beautiful little girl, wife to a super amazing man, photog and lover of life, chocolate and all things pink! I just started blogging in September 2010 and I couldn't be more in love! I have had so much fun connecting with others and have been so inspired by all my new bloggy friends. 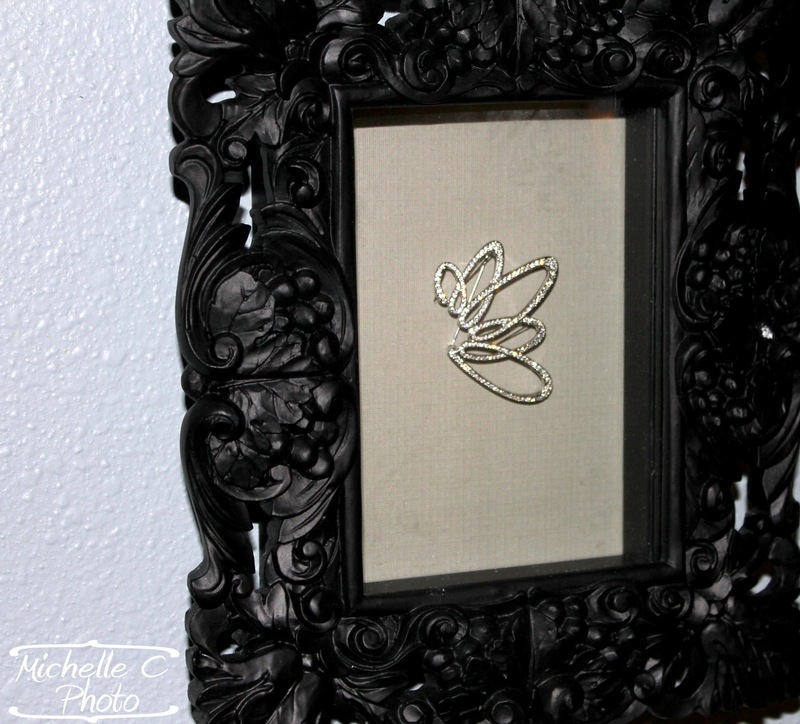 I thought I'd share with you today a gorgeous DIY shadow box. 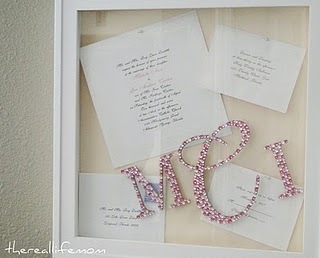 My love affair with shadow boxes began a couple of years ago when I created our Wedding Invitation Art piece. Since then I have been on the hunt for the perfect shadow box to hold my hair piece from our wedding. However, I can only seem to find the very simple ones that have no glam. So I decided when all else fails why not create! *5x7 frame of your choice. It can be any frame of any design that you like. (I found this one at Ross). (This is only needed if you do not like the color of your original frame. 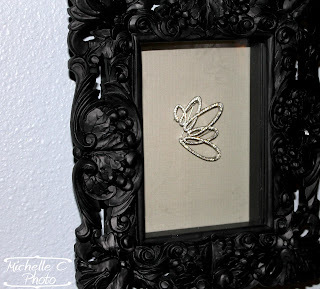 Simply remove the back of the frame and then spray paint in the color of your choice. Lay the frame face down on your workspace and place the shadow box face down on top (be sure to center it.) Finally, screw the L-Braces in (1 on each side of the frame.) And that's it! You're done! This is a great project that anyone can do. It makes for a great birthday, Christmas or just because gift! I hope that you've enjoyed and I hope you'll stop by The Real Life Mom and take a look around! Thank you Kyla for having me today!